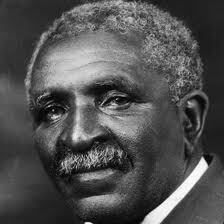 There is power in this comment by Carver. Are you thinking what does this have to do with evaluation? Considering diversity when one conducts an evaluation is critical. The AEA has built that into its foundation in its guiding principles as “Respect for people.” It is clearly defined in the AEA by-laws. It is addressed in AEA’s Statement on Cultural Competence. One of the Program Evaluation Standards (Propriety) addresses Human Rights and Respect (P3). Yet diversity goes beyond these the topics covered in these documents. 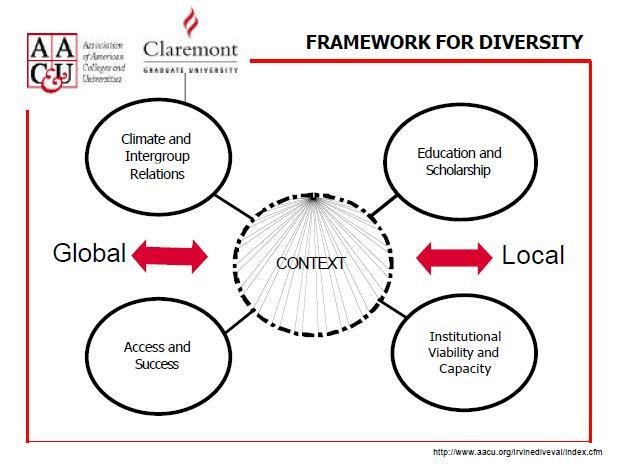 Daryl G. Smith, Professor at Claremont Graduate University, has developed an informed framework providing a practical and valuable catalyst for considering diversity in terms of the context of individual institutions. I think it has implications for evaluation whether you are at a university or a not-for-profit. I believe it has relevance especially for those of us who work in Extension. I’ve used this model a lot for helping me see diversity in ways other than gender and race/ethnicity, the usual way diversity is identified in university. For example, urban vs. rural; new to something vs. been at that something for a while; engaged vs. outreached; doing as vs. doing to. There are a wealth of evaluation questions that can be generated when diversity is reconsidered. 1. How accessible is the program to county officials? 2. What other measures of success could have been used? conditions affect viability as well? 4. What characteristics were missed by not collecting educational level? 5. How could scholarship be redefined to be relevant to this program? 6. How welcoming and inclusive is this program? 7. How does background and county origin affect participation? 8. What difference does appointed as opposed to elected status make? 9. How accessible is the program to faculty across the Western Region? 10. What measures of success could be used? 12. How welcoming and inclusive is this program? 13. How does background and program area affect participation? Keep in mind that these questions were program specific and are not the specific agenda for program effectiveness. My question is: Should they have been? Probably. At least they needed to be considered in the planning stages.